I think that online learning has a great option for individuals who are unable to actually be present at a classroom due to various barriers. However, there are many people who take online courses because they believe online learning will be an easy way to earn a credit. If we over use online learning, students will not be given the opportunity to practice oral communication and Team work skills which are both skills required In the working world. Hi. 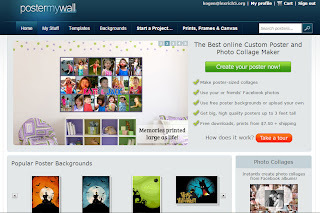 I’m one of the founders of PosterMyWall.com. We’re working hard to make PosterMyWall the best Collage Maker for teachers and students and would love to hear more feedback and feature requests. By the way, the review above notes that the posters created on our site cannot be saved online. We actually do now allow students to save their work online and finish them later.